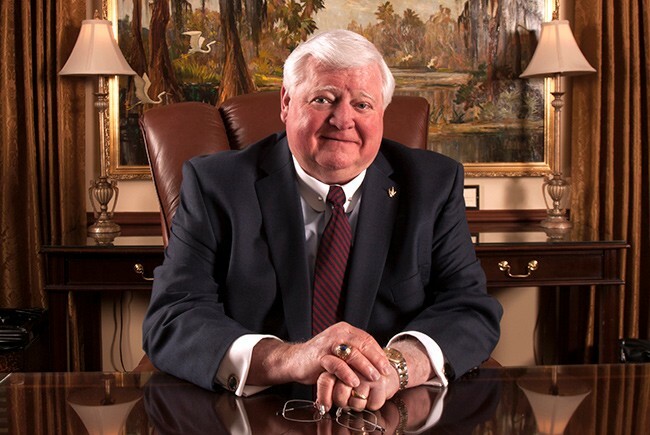 The legal community from all over the state will come together on Thursday evening, April 18, 2019, at the Coral Gables Country Club to celebrate the distinguished career of Justice R. Fred Lewis after his recent retirement from the Florida Supreme Court. You are invited to join your friends, colleagues, and the rest of Florida's legal community as we all celebrate the distinguished career and retirement of Justice Lewis. It is with a heavy heart that we share with you that Ruth McDonald, wife of Florida Supreme Court Justice Parker Lee McDonald passed away last week at the age of 90. Ruth was the Historical Society’s most loyal, ardent and cherished member and Trustee. 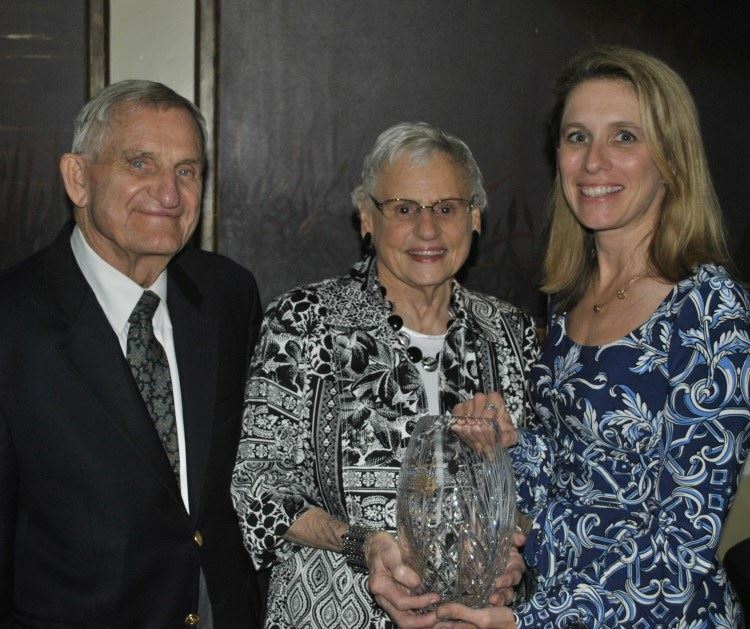 She served as the Society’s Treasurer for more than a decade, an active Member on many of the Society’s Committees starting back in the 1980’s, and was named an Honorary Lifetime Trustee in 2014. A memorial service will be held at Trinity United Methodist Church, in Tallahassee on Monday, April 15, 2019 beginning at 11:30 am, with a reception to follow in Moor Hall. In lieu of flowers, the family requests that donations be made in her name to Trinity United Methodist Church or to the Florida Supreme Court Historical Society. 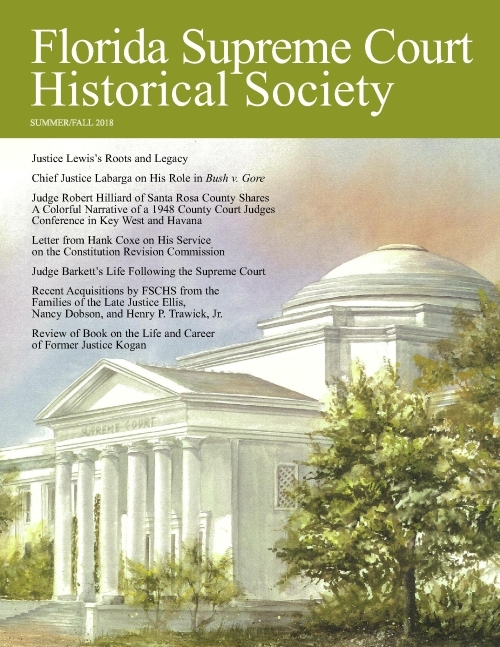 On February 7, 2019 the Historical Society held its annual dinner event, A Supreme Evening with a record breaking attendance of over 500 guests. Barry Richard introduced the Keynote presenter, Ted Olson. We were also honored to have Gov, Ron DeSantis on hand to introduce the three new Florida Supreme Court Justices he had appointed. Chief Justice Charles Canady provided his insights with an update on the state of the Supreme Court. 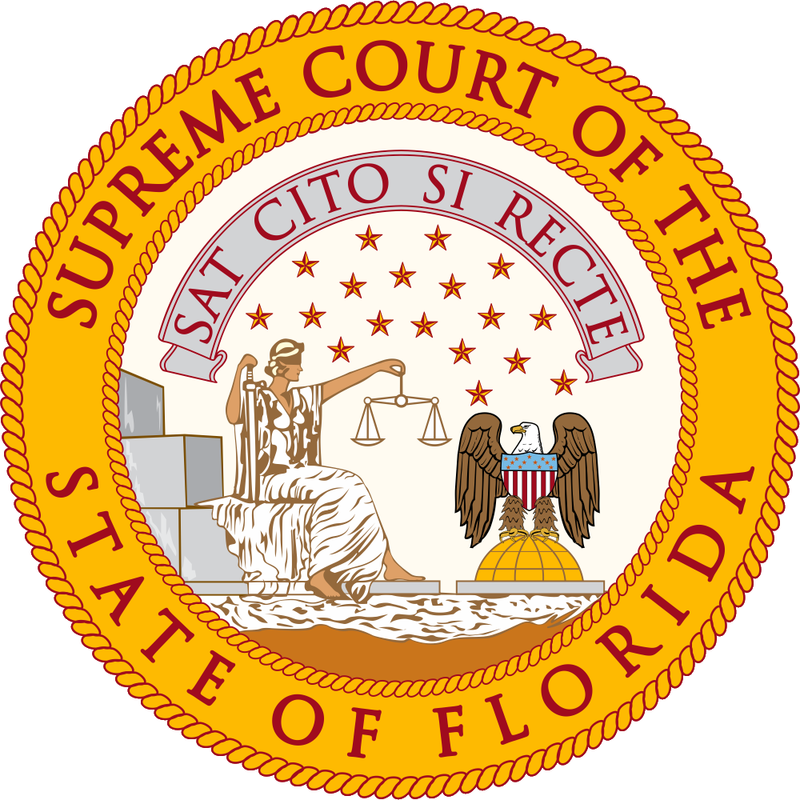 The Florida Supreme Court Historical Society is seeking judges, lawyers, law teachers or other eminently qualified citizens to serve on its Board of Trustees. Trustees will be elected by the members of the Society at the Annual Meeting of the Florida Bar in Boca Raton June 27th, 2019. The Board meets twice a year, including once at the Florida Bar Annual Meeting. Its members are invited to participate each year in the Society’s “centerpiece event,” A Supreme Evening, the annual reception and dinner in Tallahassee which is attended by governmental leaders, judges, attorneys, educators, and special guests. The event has attracted large, enthusiastic audiences and has featured prominent keynote speakers, including former Governors and Supreme Court Justices. To renew your membership online, select the Login button in the red box to the right and enter your email address to receive access to your profile by email. If your name appears in the red box you are already logged in, click on your name to view your profile. Once you have logged in, you can, update your profile and upload your latest head-shot photo for the Membership Directory and renew your Historical Society membership. Volume III describes the court during its most tumultuous years. 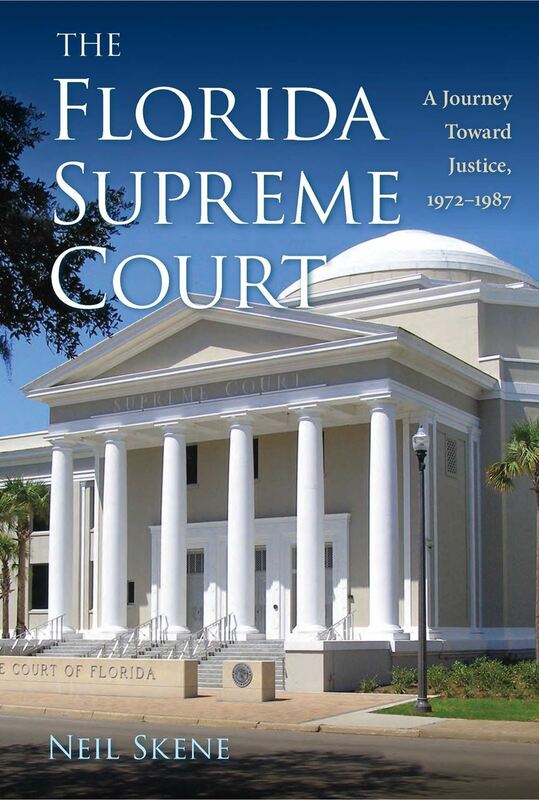 Amid he upheaval of the civil rights moment, the Vietnam War, and Watergate, the story begins with reform in the entire Florida court system. It includes the court’s first black justice, Joseph Hatchett; Governor Reubin Askew’s new system for merit selection of justices; and revision of Article V, the section of the state constitution dealing with the judiciary.